Saint Louis FC finishes a three-game road trip this Sunday against Ottawa Fury FC in Ottawa. Kickoff is set for 1 pm central standard time to the Stadium at TD Place. Scroll down to preview Sunday’s match and get the streaming link for Sunday’s match. 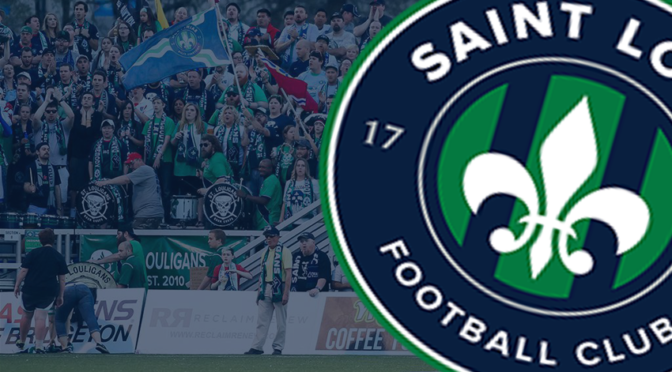 Saint Louis FC returns to Toyota Stadium at World Wide Technology Soccer Park outside St. Louis on September 9 to face the Harrisburg City Islanders. 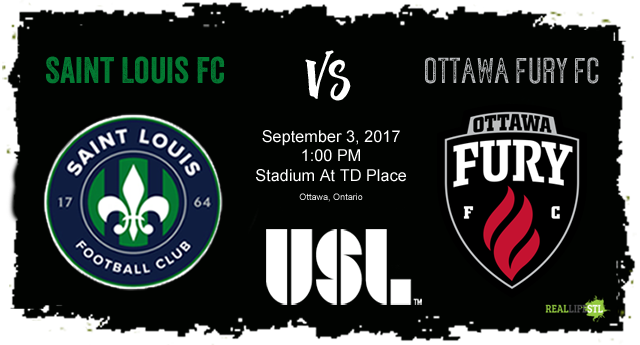 Saint Louis FC takes on Ottawa Fury FC on Sunday, September 3 in Ottawa. Through two matches of the three-match road trip, STLFC (8-11-6) has accumulated a single point. An early red card contributed to a 2-1 loss in Rochester before a late TFCII goal led to a draw there. Earning the full three points at Ottawa Sunday is crucial. Dropped points will put the players one step closer to playing for jobs next season rather than a playoff spot this season. Preki’s club currently has 30 points on the season. It sits in 11th place on the USL East table, one point ahead of Ottawa (7-9-8), and currently four points behind the club that holds the final playoff spot in the conference, FC Cincinnati. Given the club’s current spot on the table, it would be hard to draw a remaining schedule more in its favor. Seven games remain in the regular season. 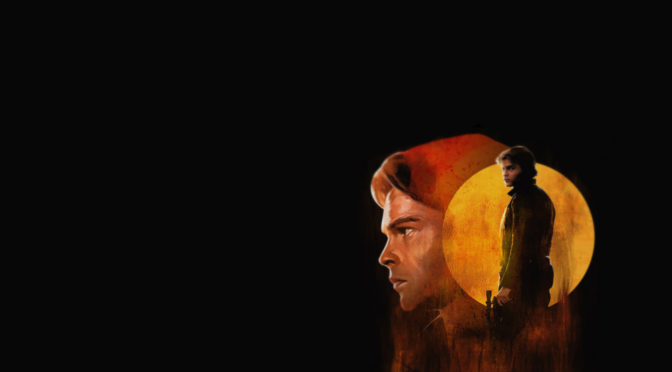 Four of them will be played at Soccer Park. Four, including Sunday, come against teams below STLFC on the table -2 vs Harrisburg City and 1 at home against Richmond. STLFC hosts Orlando City B and FC Cincinnati at home, both clubs it will have to overtake on the table to qualify for the playoffs. The STLFC squad has proved they can play with the top clubs on the conference table this season, making a playoff run possible. Qualifying for the playoffs has to come first, however. At the 90-minute mark of Wednesday’s match at Toronto Saint Louis FC had a 1-0 lead and three points in front of 647 fans at Ontario Soccer Centre. Stoppage time proved to be a problem for the local club, however. Toronto FC II’s Shaan Hundal scored in the third minute of stoppage time to turn a sure three points for Saint Louis FC into a 1-1 draw and a single point for each team. Christian Volesky scored for Saint Louis FC in the 39th minute for his first tally in almost three months. Volesky, who is now tied for the team lead with five goals, hadn’t scored since June 2. Volesky’s goal was one of the prettiest of the season for the club. The 24-year old striker took a pass from Austin Ledbetter and put his first touch of the ball solidly into the upper corner of the net. Watch highlights from Wednesday’s match below. Last Sunday, Ottawa Fury FC got a stoppage time goal of its own to earn a draw with New York Red Bulls II 2-2. 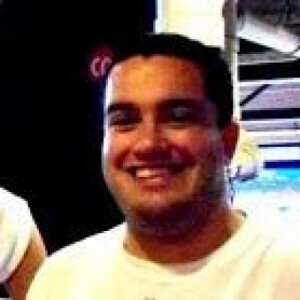 Defender Ramon Martin Del Campo knocked home the easy rebound off of a beautiful one-handed save by the Red Bulls II keeper in the 4th minute of stoppage time. Del Campo also assisted on the Ottawa goal earlier in the match by Steevan Dos Santos. Ottawa Fury FC calls the Stadium at TD Place in Lansdowne Park in Ottawa home. Aside from the Fury, the 24,000-seat stadium is also home to the Ottawa Redblacks on the Canadian Football League. The stadium is located in the Lansdowne Live development along the Rideau Canal, which also features shopping, a grocery, a cinema, trails and underground parking. The Arena at TD Place, which is part of the same Lansdowne Park development, is the home of the Ottawa 67’s of the Ontario Hockey League. An average of 5,478 Ottawa fans have turned out for each match this season, including a crowd of 6,694 for the matchup with Red Bulls II. 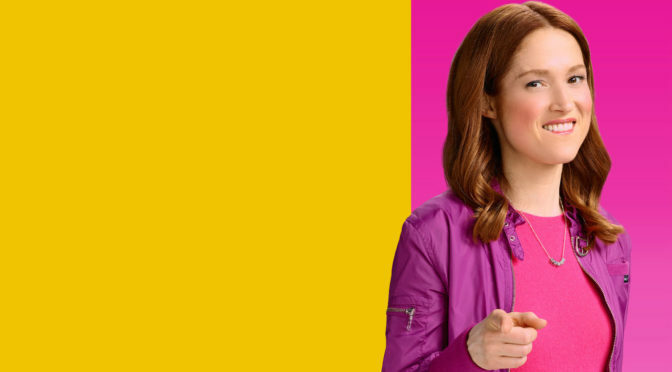 General adult tickets range from $15-$30 for Ottawa Fury FC matches. Saint Louis FC returns home on September 9 to take on the Harrisburg City Islanders at Toyota Stadium at World Wide Technology Soccer Park. Tickets to the match can be purchased in advance online at SaintLouisFC.com or by calling 636-680-0997. The match against Harrisburg City marks the start of a three-match homestand for Preki and company. After Harrisburg City, STLFC takes on Orlando City B on September 16 and FC Cincinnati on September 23. 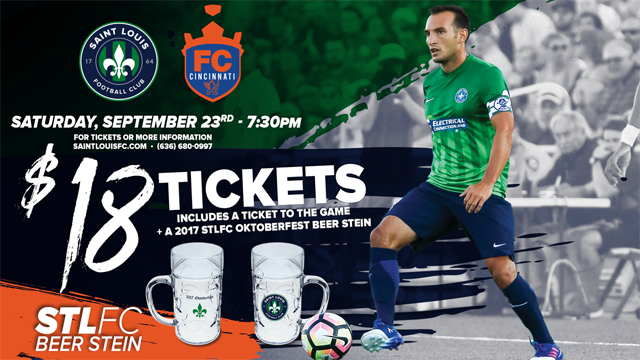 Fans purchasing a special ticket to the September 23rd match will receive a limited-edition 2017 STLFC Oktoberfest stein. All USL matches this season are streamed live on YouTube. The link to stream Sunday’s match between Saint Louis FC and Ottawa Fury FC is below. Want to watch Sunday’s match with friends? 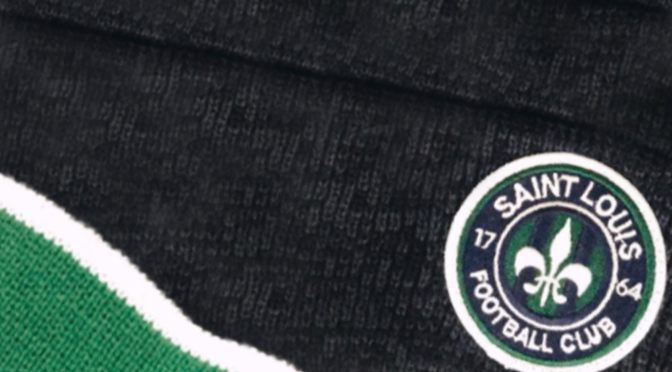 Join the St. Louligans supporters group at International Tap House in Soulard for their watch part Sunday afternoon. 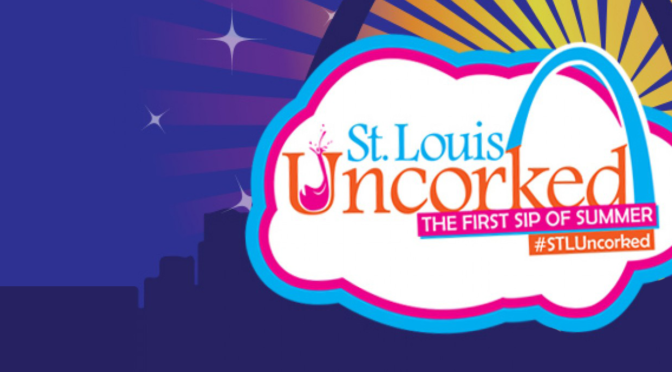 Are you out in the St. Charles area? Watch the match at Hattrick’s Irish Pub in O’Fallon.